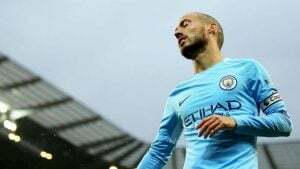 Raheem Sterling was Manchester City’s hero on November 26, as the Premier League leaders came from behind to narrowly beat Huddersfield at the John Smith’s Stadium. Pep’s men took a while to get going and fell behind just before the break with Nicolas Otamendi putting through his own net. The Citizens made it a club-record 11th win in a row and they’ll have their eyes on making it a dozen against Southampton on November 29. The Saints have been poor this season but did put four past Everton at St Mary’s on November 26 and will be aiming to build on that performance. Betfair have made Mauricio Pellegrino’s side 18/1 to end City’s unbeaten run. They’ve won just once on the road this season and were no match for Liverpool during a recent trip to Anfield. Charlie Austin is back amongst the goals and the injury-prone frontman is 3/1 with Coral to add another to his tally here. Man City’s latest victims Huddersfield don’t have to wait long as they aim to put their disappointment behind them. David Wagner’s side travel to the Emirates to face Arsenal, with the Gunners also benefiting from some late drama during their 1-0 victory against Burnley. Their second-half dominance eventually paid off as a last-gasp penalty took all three points back to North London and they will be aiming to make it three successive Premier League victories. The Gunners may have tripped up in the Europa League but they are putting together a decent run in the top flight with only Man City beating Wenger’s side during their last five outings. David Wagner’s side have been formidable at home but weaker on their travels and they could struggle to contain the Gunners here. You can find details of all of the top Irish bookmakers here at BettingTop10, including Paddy Power, who have priced up Arsenal at 4/7 on the -1 handicap. The Terriers are a huge 16/1 to take all three points back to West Yorkshire.